Delivering a speech from his hiding place, Hezbollah’s Secretary-General says terror organization refuses to comment on PM Netanyahu’s remarks at the UNAG, which revealed the exact location Hezbollah is hiding its precision-missile factories; adds ‘we exposed Netanyahu’s false allegations regarding the missile factory near Beirut’s airport; urges Arab countries to unite against the US. 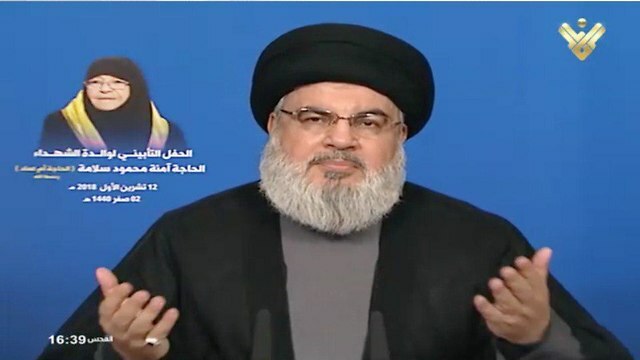 Hezbollah’s Secretary-General Hassan Nasrallah said Friday he would not comment on Prime Minister Benjamin Netanyahu’s speech at the United Nation General Assembly according to which the terror organization is hiding a high-precision-missile factory near an airport in Beirut. Following Netanyahu’s remarks, the IDF released—in an apperent coordinated timing—footage of a precision-missiles factory belonging to Hezbollah, coinciding with the prime minister’s speech delivered on the world’s stage. Speaking from his hiding place, Nasrallah delivered a speech marking a week to the death of the mother of Hezbollah’s former military wing chief, Imad Mughniyeh, who was killed 10 years ago in a car explosion. Nasrallah addressed the footage revealing the exact location of the missile factory, adding,” “I would like to officially confirm that our policy about military issues and the resistance’s abilities is clear. “Hezbollah is not obligated to provide answers, we are not playing by the enemy’s rules,” he stated. “We will not give Israel anything for free. We exposed Netanyahu’s false allegations regarding the missile factory near Beirut’s airport. 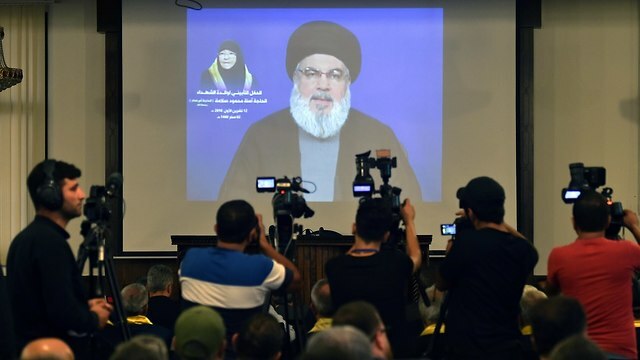 “The organization will not comment on media publications, and will not hand out information for free, insignificant as it may be,” Hezbollah leader went on to say. “We refuse to assist our enemy in waging a psychological war against our people and country,” he exclaimed. 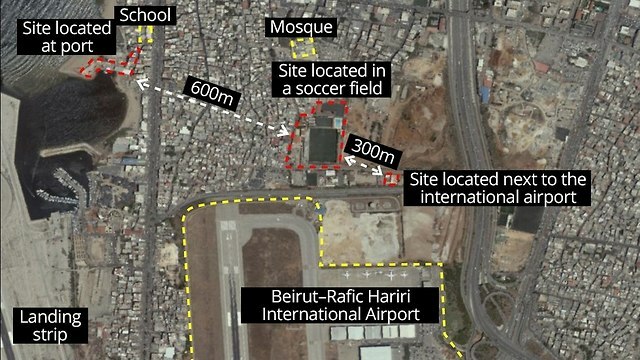 The IDF said Hezbollah also has other sites within and outside of Beirut where its members have been working to create an infrastructure intended to stockpile precision missiles in the future. 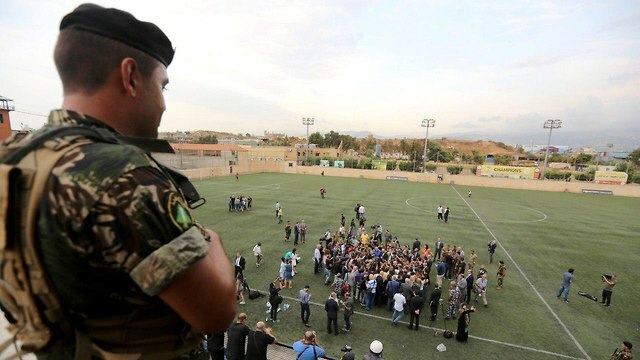 According to the military’s intelligence, one of the sites is located inside a Hezbollah soccer stadium while another is adjacent to the Beirut–Rafic Hariri International Airport. Lebanese Foreign Minister Gebran Bassil, spoke to foreign ambassadors before taking them on a tour of the area mentioned in the prime minister’s UN speech, where Bassil reiterated that there were “many statements … affirming the possession of precision-missiles by Hezbollah. However, this does not mean that these missiles are present in the vicinity of Beirut airport.” he stressed in an apparent attempt to dismiss Netanyahu’s claims. In addition, Nasrallah slammed the Arab countries cooperating with the United Staes.”US President Donald Trump told the Saudis that without the US they wouldn’t survive a week, forcing them to cooperate. The US is insulting its own allies,” he opined. “Trump exposed that many Arab states are paying to the US in exchange for their survival. “Who are you counting on?” Nasrallah asked addressing the Arab states. “Trump is robbing you under the guise of providing security. He takes your money and insults you on a daily basis,” he vented. “You have other options, more respectable ones. Sounds of war are being heard in Yemen, Syria, Iran, Bahrain, and for what?” he wondered. Hezbollah blamed Israel for assassinating Mughniyeh in 2008. The Shi’ite terror organization gave extensive coverage to the funeral of the terrorist’s mother and also mentioned his son, Jihad, who was assassinated in 2015 on the outskirts of Quneitra alongside other Hezbollah senior officials as well as a Revolutionary Guards senior advisor in an operation attributed to Israel. 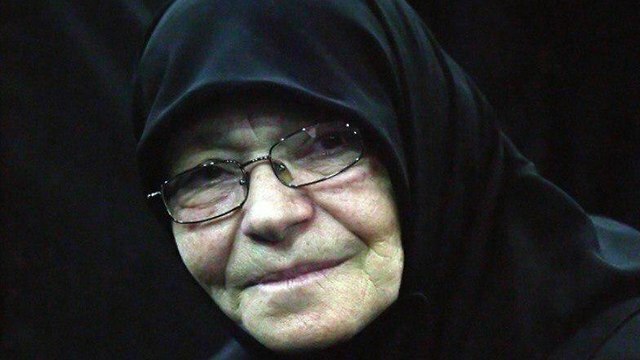 According to Hezbollah-affiliated Media outlets, the terror organization’s senior officials attended the funeral of Mughniyeh’s mother. “She sacrificed a lot for the organizations,” the official said. This entry was posted on October 13, 2018 at 3:18 PM and is filed under Uncategorized. You can subscribe via RSS 2.0 feed to this post's comments. You can skip to the end and leave a response. Pinging is currently not allowed.